Sean Hersee is the owner of Newcastle based company SAGE Painting. The fifth generation of his family to take up painting, Sean soon realised his true goal was to become a successful entrepreneur. After mastering the tools of the trade from the ground up, Sean grew his one-man operation into a multimillion dollar business with over 20 employees. SAGE Painting is now a team of brush-wielding experts who take pride in their appearance, their positive attitude and the top level quality of their work. The company has received numerous accolades, including winner of the Regional WorldSkills Awards, Master Builders Subcontractor of the Year and Small Business Champion Finalist. For Sean and the team, all these awards and trophies pale in comparison to the bright smiles and thank yous from happy homeowners. Sean has successfully grown SAGE Painting by working at scale, introducing practical systems to his business and correctly managing cash flow. He has leveraged several marketing strategies both on and offline to generate a steady stream of new customers and repeat business. Owning his own business has given Sean the flexibility to focus on his hobby of competing in triathlons. He has now taken part in events around the world, including the hardest challenge of all – the Ironman triathlon. Thanks to the continued growth of SAGE Painting, Sean has been able to invest in property, growing his portfolio from one home to a multimillion dollar portfolio. 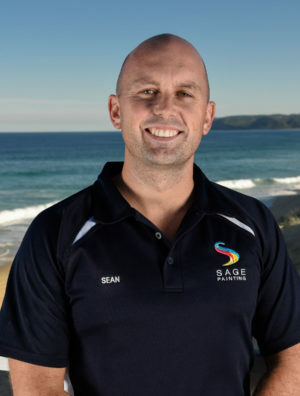 Together with his team, Sean’s goal is for SAGE Painting to become the best known painting company in Australia. At this point in time the business is very much on its way.